From the 26th of September Hurdy Gurdy is showing new work at the Hundred Years Gallery in Hoxton. Come by and see our work. 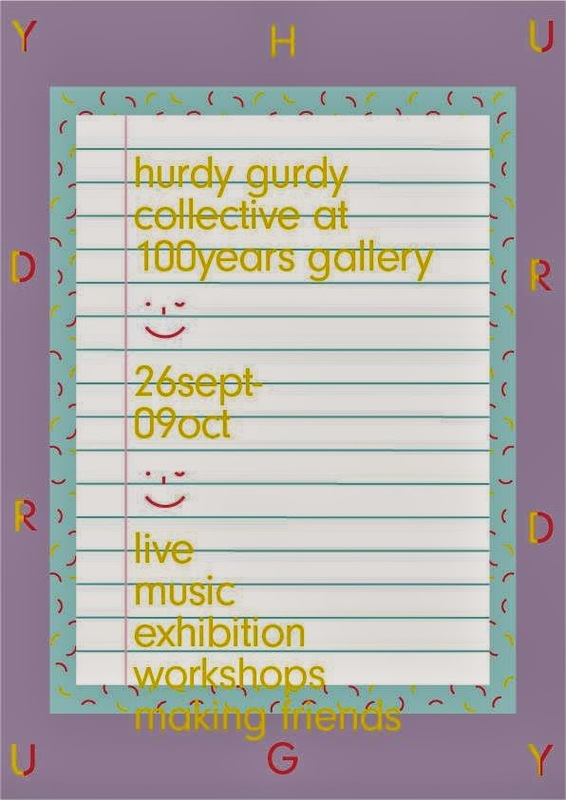 More information at the Hundred Gallery website. 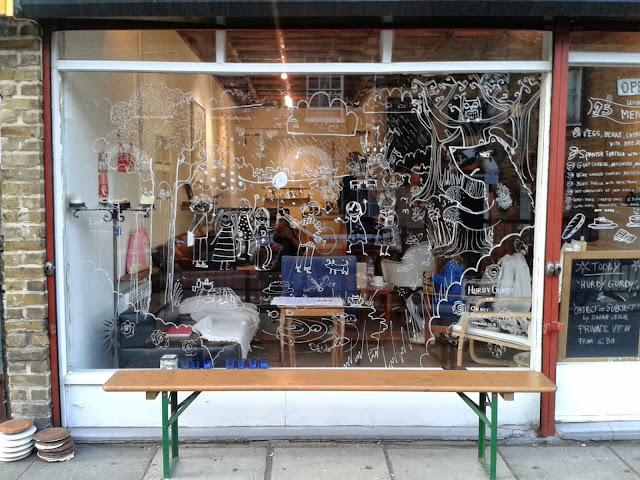 Oh and we have done some window painting as well another great reason to come by.